A terrible tornado has been turned the kingdom upside down! The beautiful Princess Helen must return to her sick father, King Olgert, but the roads are in ruins, the hamlets are destroyed, and a hungry dragon circles the skies above. Rebuild the empire from the ground up and fix the destroyed towns. 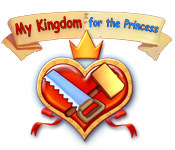 Help the brave and noble knight, Arthur, restore the land using your Time Management talents in My Kingdom for the Princess! Become the Emperor of Cradle of Rome 2! Journey through incredible levels, and the exhilarating building of the city of Rome! Reveal the twisted plan of a deranged magician who has his own Vendetta against the world! And uncover a secretive world of magicians and discover the power they have held and passed down through the centuries!